The Atlanta Dream have signed forward Haley Peters to a training camp contract, the team announced Wednesday. Welcome to the Dream @HaleyPeters! 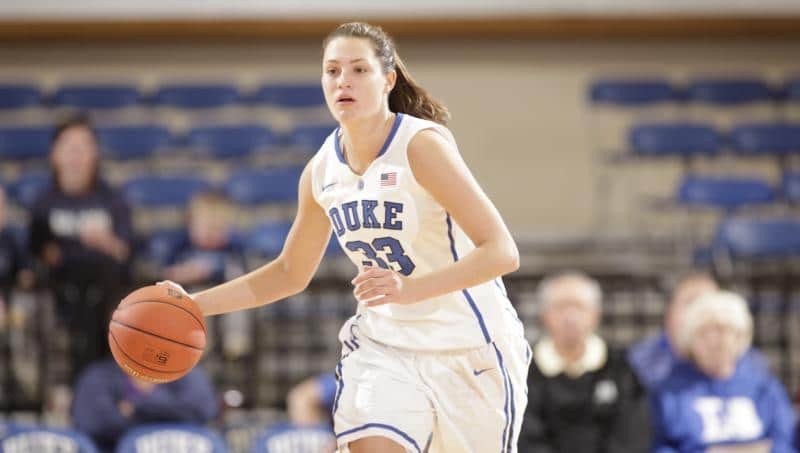 The 6-3 former Duke standout is currently playing for Carolo Basket in the Ligue Féminine de Basketball in France. She is averaging 14.6 points and 6.1 rebounds over 14 games in the French League, while scoring 17.5 points and grabbing 5.5 rebounds over 11 Euroleague games for Carolo. She has been named to the Euroleague Team of the Week multiple times this season. Last playing in the WNBA during the 2017 season splitting time between the San Antonio Stars and Washington Mystics. She has career averages of 5.4 points and 2.1 rebounds over 38 career games. She originally signed with the Washington Mystics out of college prior to the 2014 season. While playing at Duke, Peters helped guide the Blue Devils to two ACC Tournament Championships, three ACC regular season titles and three trips to the NCAA Elite Eight over her four years. She was one of only seven Duke players to score over 1,300 points and pull down over 800 rebounds in a career. The Dream have all its core pieces returning from its franchise-best 23-win season, including multi-year contracts with guard Tiffany Hayes and center Elizabeth Williams.